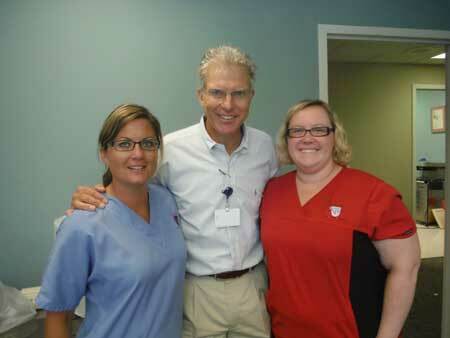 Dr. Mac and his team who run his office, in Edgefield: (left) Nikki Mode and Jessica Hutto. Some of his teaching experience includes some years at Johns Hopkins (where he also studied), at Travis Air Force medical facility and as a professor at University of California at Davis. The reason for Dr. Mac being here, now, has to do with “the opportunity to serve.” He notes that there are 10,500 in his specialty, and this area is somewhat underserved. For those needing his help, his office is in the Medical Clinic on Medical Plaza Rd. For more information, call ECH at 637-3174.